Recollections of A Lost Icon | What an Amazing World! Gangsters running around dark alleys, carrying automatic weapons to shoot any raiding policemen they see. Prostitutes standing under neon signboards, in claustrophobic settlements where the sun hardly penetrates. Meanwhile, residents doing their daily activities, indifferent to the madness around them, carry on with their business in a dingy and unsanitary neighborhood – no ordinary neighborhood by any means. Those infamous scenes were introduced by Hong Kong’s film industry to the world through its myriad gangster movies back in the 1980s. 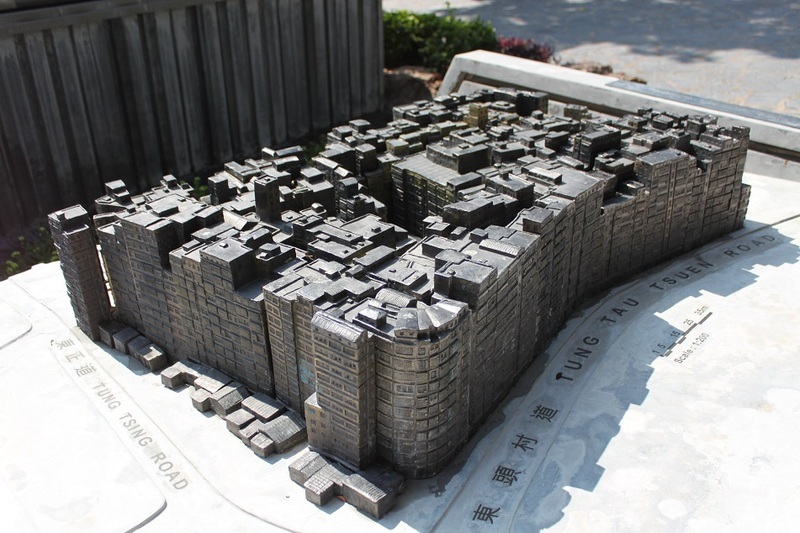 Some of the multinational criminal organizations – known as Triads – in fact ran many illegal businesses from Kowloon’s Walled City, a peculiar residential housing complex amid the otherwise modern city of Hong Kong. From the 1950s to the 1970s Triads contributed to the high rate of prostitution, gambling and drug use associated with the dense neighborhood. Thanks to its long and complicated history, the once sleepy trading outpost transformed itself into a chaotic city within a city over the course of centuries. 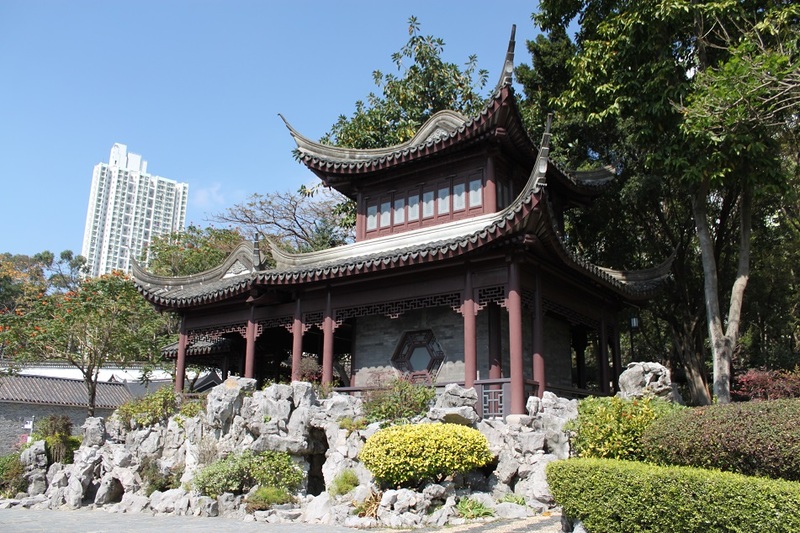 It all began when the Song Dynasty (960 – 1279 AD) established an outpost on the shores of the Kowloon peninsula to manage the local salt trade. Centuries later little had changed except for the addition of a small coastal fort around the old trading post. However in the mid-19th century the First Opium War broke out between Britain and China, leading to the signing of the Treaty of Nanking by both sides at the end of the war. As a part of the treaty, China agreed to cede Hong Kong in perpetuity to Britain, further strengthening the European hegemon’s presence right in China’s backyard. 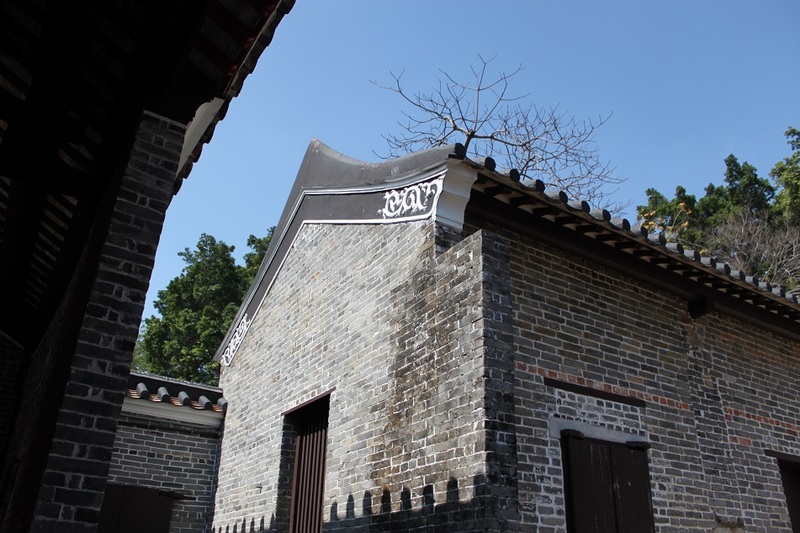 In response to this humiliating loss, the Qing Dynasty fortified Kowloon fort in the same grounds where the old salt trading post was set up. In the years that followed, a series of defeats from western powers and Japan further weakened the Chinese government, paving the way for a further scramble for China. In 1898 China agreed to give Britain full jurisdiction of the New Territories for 99 years, adding more than 950 square kilometers to Hong Kong’s land area – almost tenfold of the pre-1898 area. However the fortress – known as Kowloon Walled City – was oddly excluded from the treaty, creating a state of limbo for decades to come. 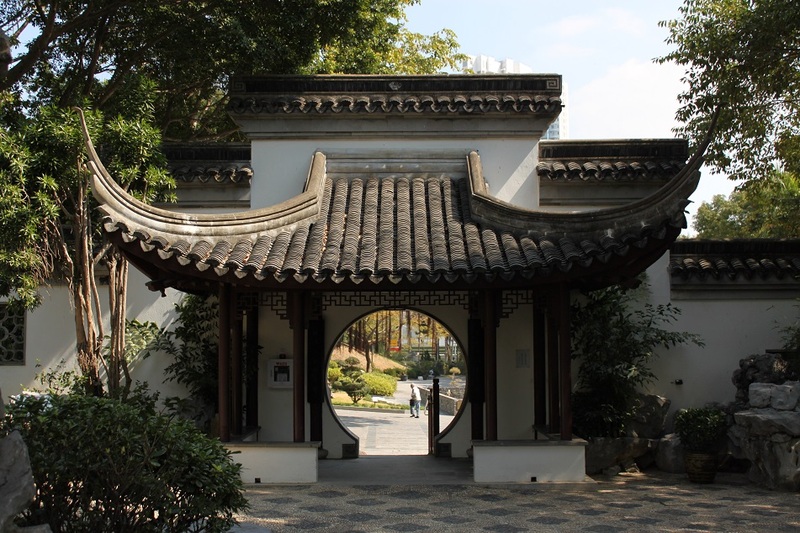 Officially an enclave of China within British Hong Kong, the Walled City was attacked by the British forces in May 1899 who then claimed ownership of the area. In the following years, however, they did little to the settlement and in 1933 plans were announced to demolish the Walled City altogether. But another, and bigger, war broke out. Japanese forces occupied Hong Kong in World War II during which they stripped the walls of the Walled City to be used to extend the runway of Kai Tak Airport. After the surrender of Japan at the end of the war, China once again laid claim to the Walled City, driving refugees to flock and settle in the enclave. Years later the British remained clear of the area, but no local government was set up by the Chinese either, creating a virtual no man’s land which lured crime syndicates to start lucrative illegal businesses there. The Walled City’s population kept growing, but with such limited land the only way to stay in pace with population growth was to build up. In the 1980s it housed a record 33,000 residents in a plot of only 2.6 hectares – around the same density of the entire population of the United States, Indonesia, Brazil and Pakistan living in a place as small as Singapore. It was a big dark labyrinthine settlement with interconnecting buildings; no trash collection service was in place, forcing its residents to dump their garbage out of their windows or on the rooftops. In 1984 the Chinese and British governments signed a joint declaration to prepare the handover of Hong Kong to the People’s Republic of China, in which also stipulated the demolition of the Walled City. Plans were made to resettle its residents in government housing estates, and to build a park over the rubble. 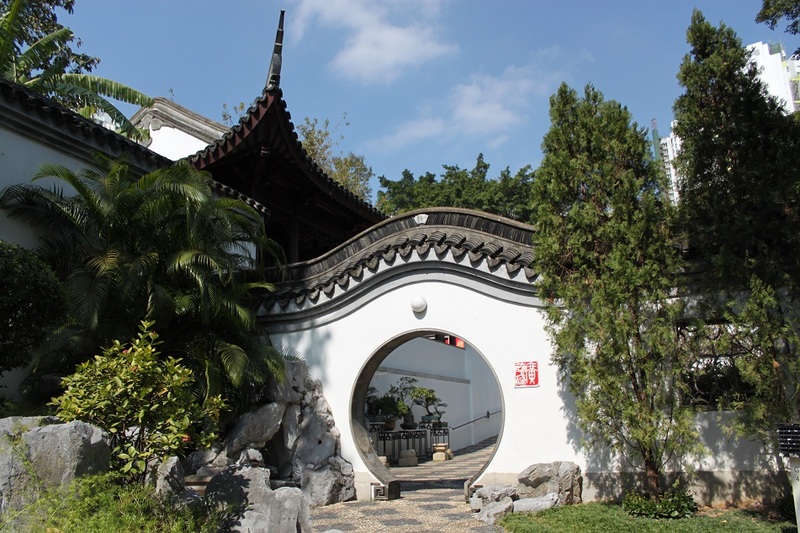 Kowloon Walled City Park was then completed in 1995 and today it serves as a memorial to the old Walled City, dotted with beautiful Chinese pavilions built in the Jiangnan style. The renovated Yamen building – the sole survivor of the demolition – now serves as an interactive space and provides a glimpse of the settlement’s tangled history. Nothing like the Walled City had existed before, and nothing like it would probably ever exist again. great photos! I wish to travel to that place one day…. Hopefully that will be sooner than later. Thank you! Even though it’s been gone for at least 20 years, Kowloon Walled City still captures the public imagination. It’s said to have inspired a neighbourhood of Gotham City known as “The Narrows” – in Japan there’s even a themed arcade modelled after real-life scenes from the Walled City. I can see why it has inspired so many stories about a city’s grim neighborhood. When I saw the photos of the Walled City I was literally blown away by its size and how people lived their lives just like any normal Hong Kongers. I’ve seen the images of that theme park in Japan as well, and everything looked very convincing! And when I compared its population density with today’s population of the world’s 3rd to 6th most populous countries living in a place like Singapore, it’s just mind-boggling! Thanks for your encouragement, James. What am amazing history! Thank you for educating me on this facet of British-Chinese history and sharing all these beautiful photos. I feel so peaceful looking at these photos. Thank you, Ngan. It’s hard to imagine that this peaceful park was once a monstrous settlement where so many people lived in so little space, indeed. Fascinating! You had me hooked from the first sentence. Thanks for sharing this amazing history and stunning photos too! Thank you, Samuel. I’m glad you enjoyed this post as much as I enjoyed learning about the history of this bizarre yet amazing place. 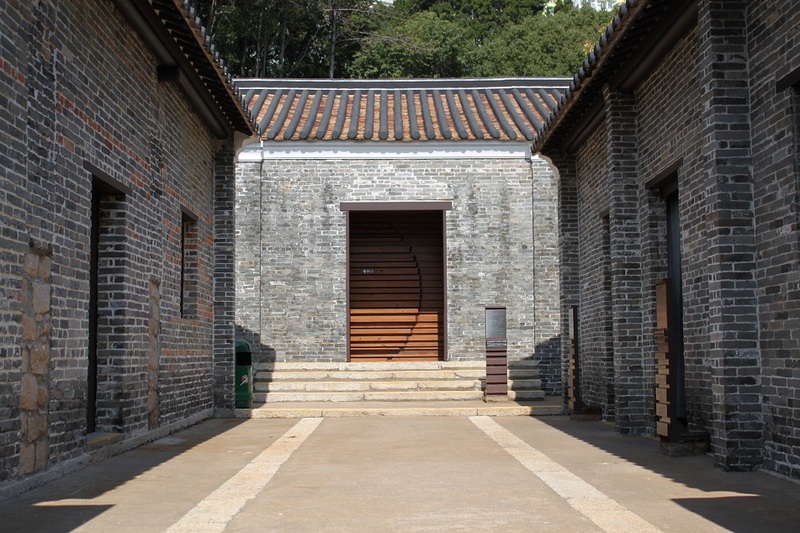 There is something so pleasing about the Chinese architecture. The round doorways and the sweeping roofs. What struck me most was the beauty in the detailing of the roofs and buildings. 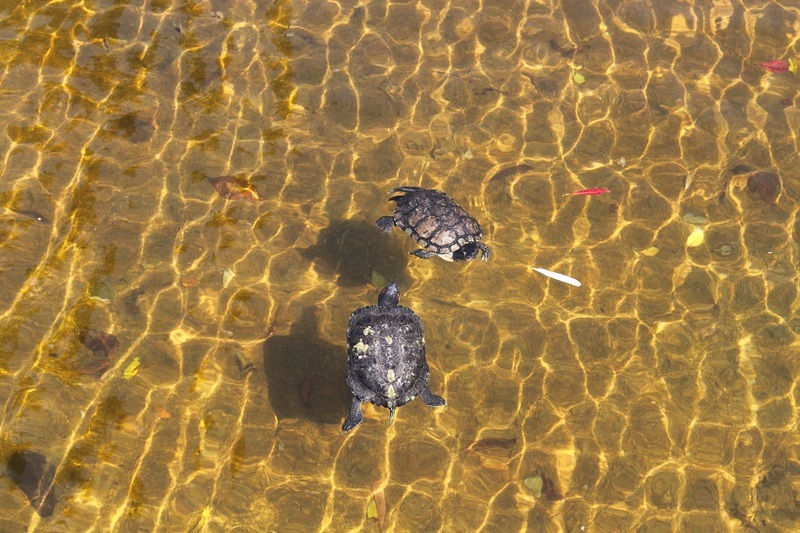 That’s what Jiangnan style has to offer. 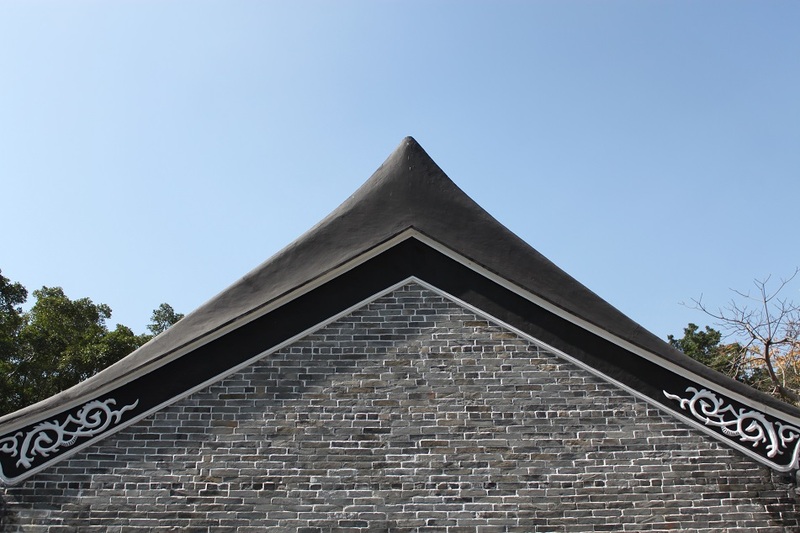 It’s probably my favorite Chinese architectural style, and when it is compared with the rigid style of the north I’m not surprised if people prefer the former. Thanks for reading, Leslie. Merci, Jean-Michel. I’m glad you enjoyed this story, a peculiar chapter in Hong Kong’s long history. Those photos are gorgeous… but more importantly, great information and history to go with them! 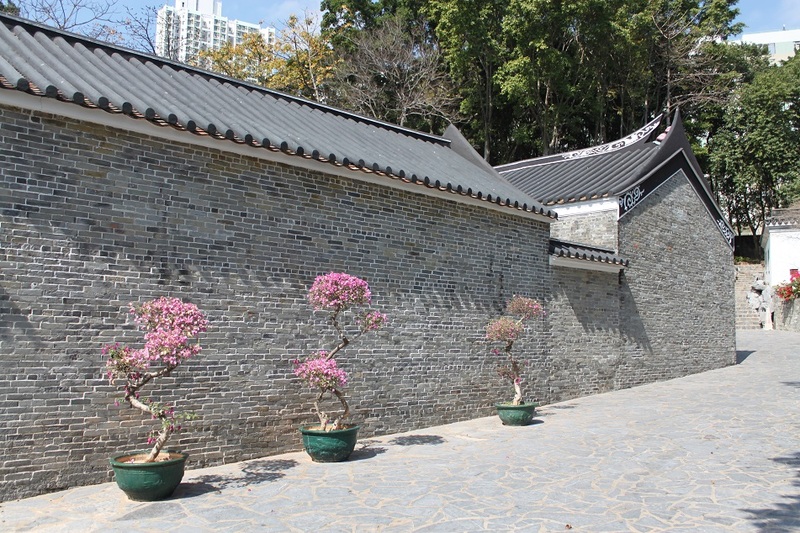 The history is a big part of why I’d love to go to Hong Kong one day… hopefully soon! Thank you for your kind words, Jess. When you go to Hong Kong, delve into its rich history which lies beneath its towering skyscrapers and flashy theme parks. You’ll be surprised by what the city went through in the past. That’s exactly what I look forward to most in my travels – the REAL stuff under the new, shiny crap! That said, I’m sure I’ll still do Disneyland there, I’m still a small kid underneath it all! Going to Disneyland won’t hurt anyway. 🙂 I hope you’ll visit HK sooner than later! Hi Meredith. Thank you! Kowloon Walled City is such a fascinating place, indeed. I do recommend visiting this place to learn about the past settlement which was created by historical ‘mistakes’. 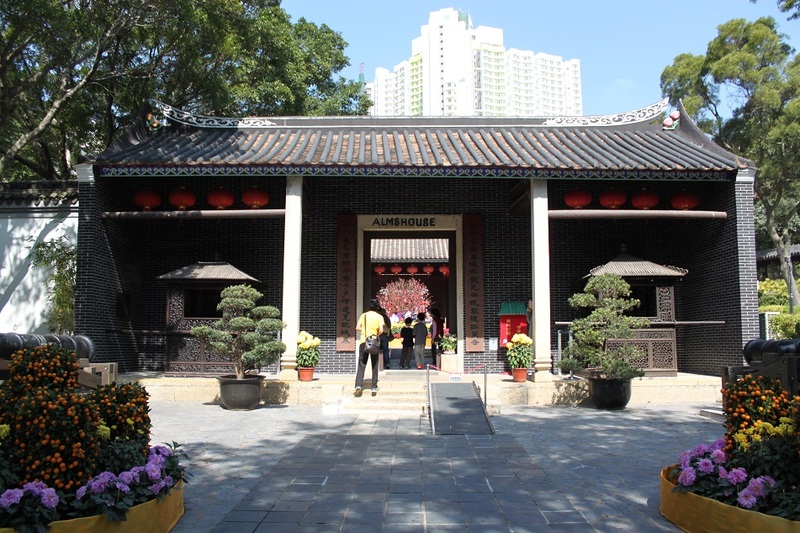 Jadi Kowloon Walled City itu semacam bagian HK yg tidak diambil Inggris, tapi juga gak diperhatiin pemerintah RRC ya. Yes, jadi meskipun secara status hukumnya merupakan wilayah China, tapi pemerintah China (masih Republik China pada waktu itu, sebelum kemudian jadi RRC) gak pernah ngurus Walled City ini. Sampai mendekati penyerahan HK dari Inggris kembali ke RRC baru kedua belah pihak menentukan Kowloon Walled City mau diapakan. Lovely pictures. Would love to travel there! Thank you. Hopefully you’ll make it to this place very soon! Bam, kok kamu nemu aja siyh sejarah/cerita di balik suatu tempat. Itu di tiap destinasi kamu ngobrol/mewawancara orang po piye? Hi Bama, I read about Kowloon Walled city before but not in this much detail. Your narratives are very gripping and engaging. What an interesting history you told, one made for movies indeed. They did a good job cleaning up the walled city. The park and garden looks beautiful and peaceful. It’s hard to imagine the grittiness and chaos that once stood there. Really great post, Bama. Thank you for your kind words, Marisol! This kind of place usually makes good story to share. It redefined dense settlement and what we have been seeing anywhere on earth are anything like the Walled City. When I tried to make a comparison on its population density by comparing present world population data, I was startled to imagine how lives were like for its residents in such small area. Hopefully there won’t be any more place like the Walled City in the world. It’s human survival at its extreme. Wow, I literally had no idea about the Walled City. Thanks for sharing this information. My grandmother is originally from Hong Kong, and I’m ashamed to say that I know very little about it and its history. Thank you for awakening within me a curiosity for my grandmother’s homeland. My pleasure, Nina. You don’t need to be ashamed, really. It’s never too late to start learning about the place where your grandmother was from. I myself have started learning more about my ancestral roots only a couple of years ago. I love your photos! Simply beautiful. Thanks Maria. Really appreciate your kind words. Brilliant post. 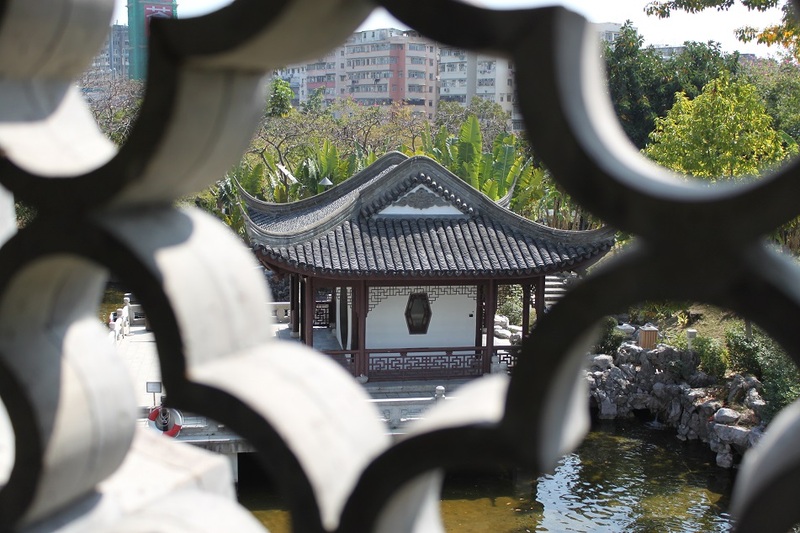 Your photos are amazing as usual and even though I stayed in Kowloon when I went to Hong Kong, oh-so-many-years-ago, I didn’t know this piece of history. Thanks for sharing. Very interesting. Thank you, Victoria. 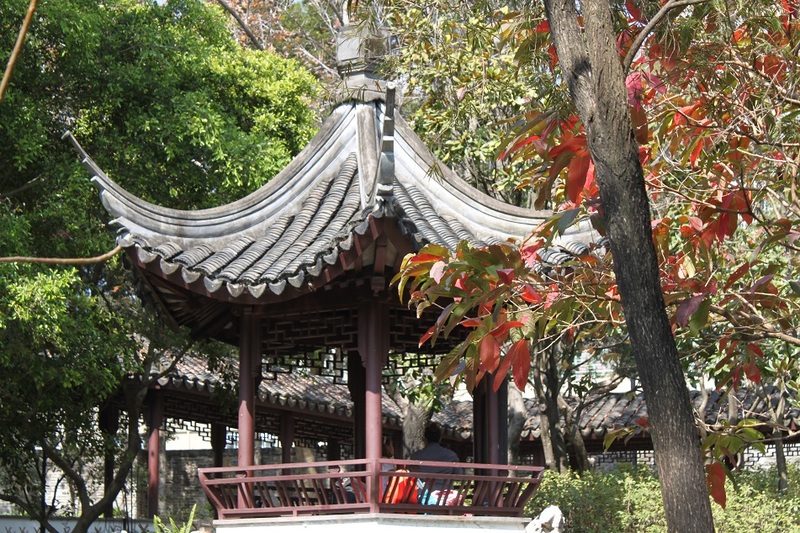 The Walled City Park itself is not that easy to find. It’s hidden in an unassumingly quiet neighborhood. Thank you! I’m glad you enjoyed the photos. 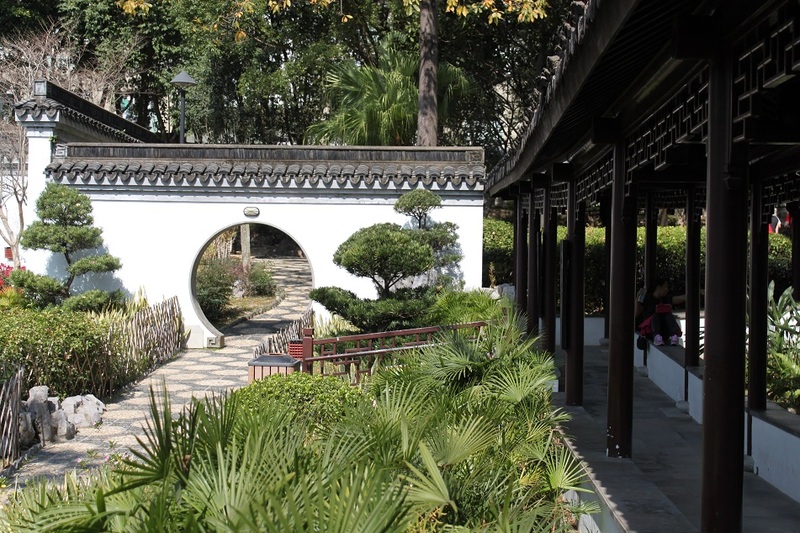 That Chinese Garden in Portland looks so beautiful and peaceful, and its pavilion looks exactly the same with the one I saw at the Kowloon Walled City Park. 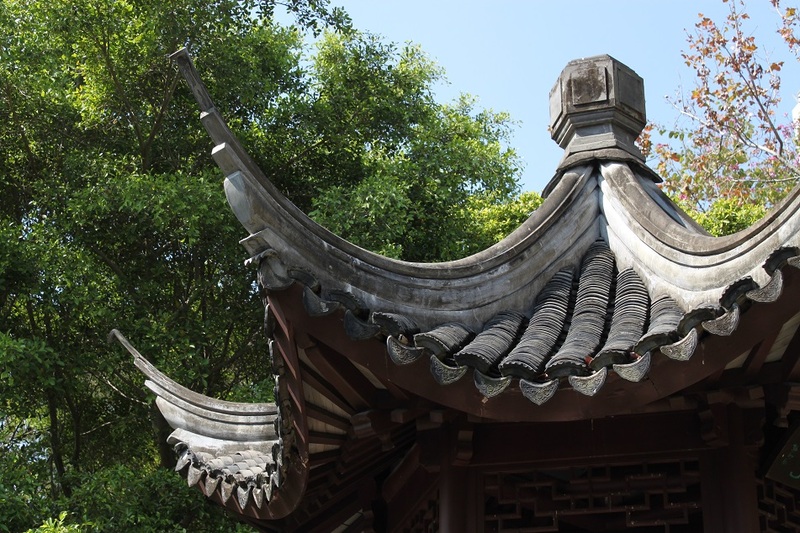 They were both built in Jiangnan style, which seems very popular all around the globe. From the stories I heard Portland is such a nice city, and that pretty garden is really a fitting addition. Thanks for dropping by! My pleasure! I thank you too. I love the intro to this post! It was great to read. It must have been terribly suffocating living in that concrete phalanstery. But for a traveler’s experience – it would have been interesting to visit it. So, I’m sorry it doesn’t exist anymore. Living in the Walled City is just unimaginable, even though there are photos of it depicting how life was like when people still inhabited the claustrophobic settlement. There is actually a theme park in Japan inspired by the Walled City. Maybe you want to give it a visit.